you gotta promote the promotion! Series of books for Writers! "The most comprehensive book on getting book reviews I've ever come across. In her usual warm and easy-to-follow manner, Howard-Johnson outlines everything you need to know to maximise your book's chances . . .an excellent resource that both beginning and seasoned authors can return to again and again." "I've already got a ton of new review opportunities for my authors!" of Dancing Lemur Press. L. L. C.
Victor's snapshot of his second shipment of holiday gifts for his authors came complete with rainbows! Joy reviewed How to Get Great Book Reviews Frugally and Ethically and then posted this on her Facebook page. What a gift! 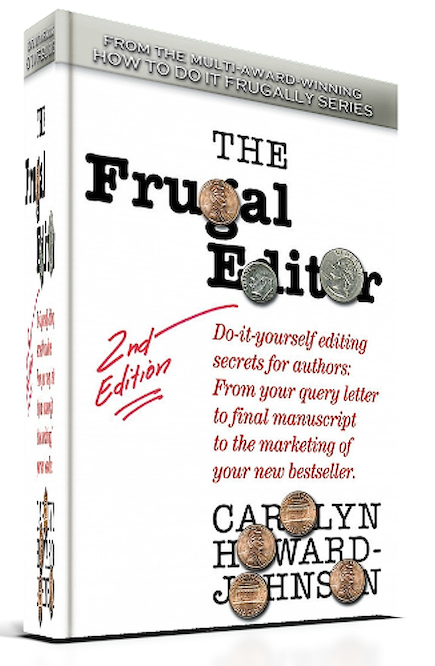 This, third, volume in Carolyn Howard-Johnson’s “How to do it frugally” series is written in her usual clear, chatty style. Like the other two books in the series, it is not a read-and-put-away book, but a detailed instruction manual. You cannot learn from reading but only from doing, and Carolyn offers step by step recipes for what to do when, and how to do it. 2. Then there is the idea, new to me, that lists of neighbors, fellow parents at your kids' school, generally, members of groups you belong to, are all potential lists of reviewers. Brilliant! I've been writing and seeking reviews for many years, and simply didn't know about all the many aspects this book covers. Mind you, publicity hound (let's be polite, publicity expert) Carolyn uses this book to direct the reader to her previous publications. Depending on your point of view, this could be a negative, or a shining example. My overall assessment is that this is a very useful tool in a writer's toolkit. Reviews have traditionally been the critiques your book receives from professionals in the publishing industry. In this age of indie films, indie music, and indie publishing we have indie reviewers, too. That is, readers get to critique your work publically, primarily on online bookstores and blogs. Reviews can be magic (and they can be downers). They can bring you as much joy (and as much pain) as the actual writing process. They can be the instruments of your book’s success. They can inform, change, and mold your future writing technique. Poor reviews (or the lack of reviews) are sometimes blamed for a failed writing career. If that seems like an overstatement consider this. Marketing is a huge part of a book’s success, and getting reviews is a huge part of marketing a book or any other business. If you don’t believe it, ask a plumber who has had poor reviews on Yelp!. Many authors grew up dreaming of one day having a book reviewed in the book section of their local newspaper. It may surprise them that traditional book reviews that once determined the trajectory of a book’s success aren’t as important as they once were because there are now so many other ways to reach readers beyond traditional bookish journals. 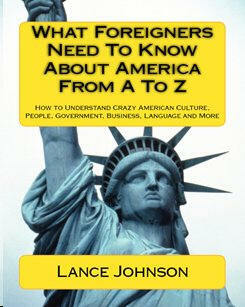 We talk about some of those alternatives in this book. That’s not to suggest authors should give up on getting reviews. Authoritative and credible reviews can be influential and one of the most useful tools in your marketing kit. Most writers think of reviews as teaching tools for prospective readers, but when a reviewer cares enough to critique a writer’s work—anything from dialogue to structure—it is a precious gift. (Later in this book, we’ll talk about ways to assure that they work for you and not against you.) When writers get in a huff and ignore these critiques, they do so at their own peril. Would you get in a huff? Sure. Go ahead. Have a little tizzy. Get it off your chest (privately). But disregard or discount the critical parts of your reviews? Please don’t do that until you have given those critiques careful consideration, maybe even run them by an accomplished writer or editor to see if they think the criticism can be used for the betterment of your next work or if they warrant a rewrite of the book you (perhaps too hurriedly) published on your own. The review process is both a collaborative and networking effort. When we realize that reviewing—both the getting and giving of reviews—is a way to connect with others in the publishing industry, we become aware that we can learn from those who review our books. If we’re smart, we learn from them, keep in touch with them, and call upon them in need. You may also be surprised that I include a section on writing reviews in this book when its title focuses on getting them. That discussion includes suggestions for developing your reviewing skills and there are suggestions in Appendix One that will hone your review-writing skills. So, just why should we care? Well, getting reviews is part of marketing a book and that includes the networking aspect of the process. But writing reviews can do that for us, too. It’s true. Writing reviews increases our review-getting success incrementally. 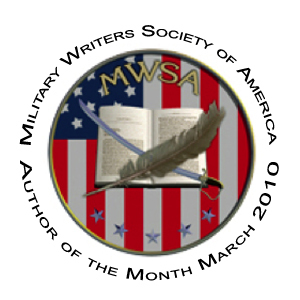 Many writers may write reviews to help finance their love of writing in the early part of their careers. Sometimes they love doing it and learn so much from doing it that they never give it up. Occasionally it is the writing of reviews that gives them the prestige they seek in the publishing industry. But here’s the best reason for writing reviews of others’ books: It increases the chances for having our own books read more widely. Yes, that networking thing again, but also the magic of Internet links and Amazon. Keep reading. 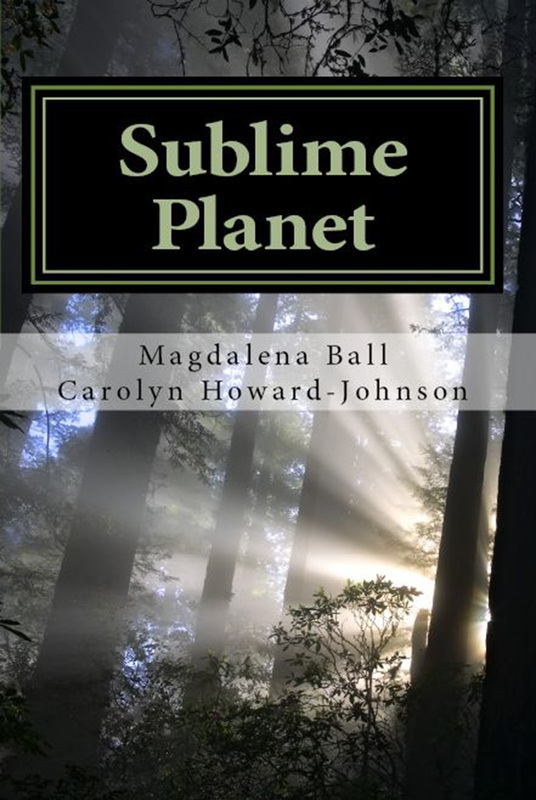 We all know that publishing has made cosmic changes in the last decades. In the second edition of my multi award-winning The Frugal Book Promoter (bit.ly/FrugalBookPromo), I devote a section on how to get reviews and itemize some new methods that didn’t exist in the old traditional-publishing world. It wasn’t the good-old-days. Not when a few big publishers had complete control over the publishing of a book and a few big review journals had complete sway over whether a book would sell to bookstores or get shelf space in libraries and therefore be accessible to readers. I don’t have to enumerate how different things are now—in terms of both publishing in general and of getting reviews—because you are in the throes of experiencing them. Thanks to self-publishing. Thanks to online bookstores and their amateur review models. Thanks to both grassroots bloggers and the big, powerful ones with many thousands of subscribers. Of course, it’s always been true that authors who contributed to their own success had a better chance of seeing their writing stars rise and retain their sparkle for a long, long time. Think Charles Dickens. Or don’t. Think Mark Twain instead. You can do the same thing given the motivation and the knowledge necessary to sway the media. Reviewers are part of the media. By understanding marketing and PR and knowing the basic skills for getting reviews, we have in our hands the Mark Twain magic—only in many ways the new model offered by the world of computers is enormously more powerful and costs less in both time and money. Today we authors have even more power and control over creating, publishing, and promoting our own books from the moment they’re conceived to however long their theme or topic is pertinent. Twain would have been envious. This book is structured so authors can select chapters that address aspects of their review-getting plan, aspects most needed at any given time. It’s meant to function as a perpetual reference for authors who want their books to soar and do not want their careers to languish. It shows authors how the review process can be one of the easiest and most successful tools for making that happen. If I refer to something covered in depth elsewhere, I give you a prompt for finding it. I also include an Index. I hope it makes it easy for you to find tips for different kinds of review-getting situations as you need them. As an example: When you scan this Index, you may notice the words “media kits” (less accurately known as press kits) and wonder what media kits have to do with reviews. I urge you to use the page indicators to find every entry on that topic in this book. That way you can be sure you are applying the magic of reviews to your media kit in as many ways as possible. Without that cue, you may pass over the references to media kits as you read. 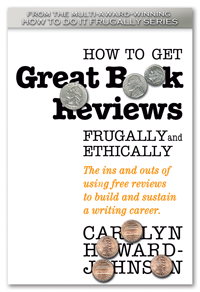 How to Get Great Book Reviews Frugally and Ethically: The ins and outs of using free reviews to build and sustain a writing career is not a textbook. It contains opinions—some as black and white as the page you find them on. It is me talking to you, sharing with you. I had no desire to write a tome that would make people hearken back to their boring (and heavy!) high school texts. I may not cover every possible idea for getting reviews. In fact I avoid anything I have not tried as a professional publicist in promoting my own books, in writing reviews for others’ books, and in managing my own New Book Review (thenewbookreview.blogspot.com). I started that review blog because I could no longer accommodate all the requests I get from readers of my HowToDoItFrugally series of books for readers. My journalism training comes into play, too. 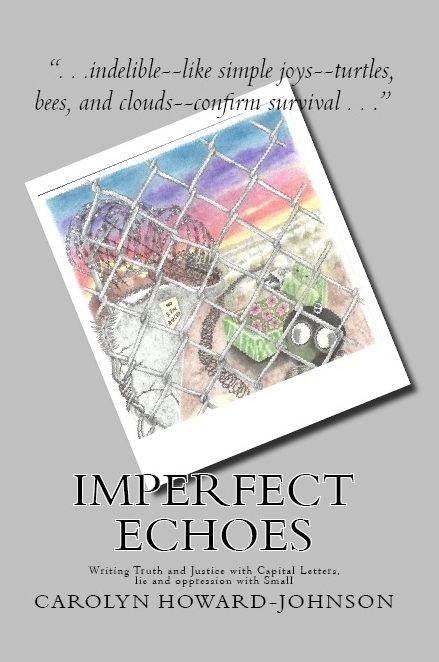 Just as judges are expected to recuse themselves from cases where they may have a vested interest because they can’t be considered impartial, so it is for me with writers I know. You will, however, find lots of new (or rarely used) ways to get and use reviews that have not been scorched, stirred, and then warmed over. You must find review-getting paths that fit your interests, skills, pocketbook, and your book’s title. I expect you to pick and choose from the many suggestions I give you for using reviews, too. I want my experience to save you time and heartache. I also don’t want you to spend money on a review that—if not downright fake—lacks credibility among the gatekeepers that many reviews are meant to persuade. Fake reviews? Now that I have your attention, keep reading! Remember Mary Englebreit? She’s the greeting card artist who drew a feisty little girl who stamped her foot and said, “Get over it.” This is the chapter that helps you manage your fears (and your frugal book budget). It is here to help you avoid all the aspects of getting reviews you most want to avoid or at least make the ones you can’t avoid more palatable. Englebreit would agree you can “get over” just about anything you understand better. The idea of letting anyone—even professionals—get a glimpse of your precious book may seem a foreign concept to you. People you don’t know might steal your ideas or plagiarize your work. And you’re especially worried about doing it before it’s published. This fear isn’t limited to the review process. Fear of plagiarism is a topic of discussion among the writers I meet on the Web, in my critique groups, in my classes, or wherever authors get together to further their careers. Some writers are crippled by the fear that someone will steal their idea or plagiarize their work. That fear keeps some from sending their manuscripts to publishers and agents, from trusting professional editors and teachers to advise them, and from seeking spotlights that might assure the success of their books. Of course, you should take precautions, but worrying about plagiarism or giving away an idea instead of focusing on the joy of sharing your talent with others can be destructive to both your creativity and to the business of building your career in the publishing world. I would rather have a million people read one of my poems in a Dear Abby column credited only as “Anonymous” than have it read not at all. Having our voices heard is more important than selling books. Having our voices heard is sharing our souls. I fervently hope more writers will come to share this view. The kind of plagiarism that authors worry about is quite rare. It’s hard to steal an idea. For one thing, there are no truly new ideas in the world. If you don’t believe me, read Joseph Campbell’s works (which you should do anyway). He divides all of literature from Greek plays onward into a few categories with a few basic elements. It’s unlikely your work is so unique that it doesn’t fit into one of them. Further, ideas cannot be copyrighted. A recent court case reaffirmed this notion. If it had not, much of Shakespeare’s works would be considered plagiarism and, because science fiction writers often borrow theories from those who win Nobel prizes in physics, that genre could no longer exist as we know it. Many kinds of borrowings are not plagiarism but the result of the similar way our brains function. You’ve probably heard the story of monkey colonies on one island who take up the same habits of monkeys on another island with no understandable way for them to have communicated. You should know that anyone who uses your idea—including a prospective reviewer—would surely write a different book than yours. Bolster your confidence by trying this exercise: Ask three writers to pen a piece using a very specific subject—maybe even something you’ve considered writing yourself. My critique group used a story about how, as a child, one of our members sneaked into a neighbor’s house and ate frosted strawberries out of the Fridge. We then set a lunch date and read each work aloud. In spite of the similar plot lines, the voices, characters, and details were so different we wondered why we had been concerned about a fellow writer stealing an idea. Usually, a writer won’t be interested in writing someone else’s stuff, anyway. Most writing, after all, is about self-expression. Often when a case of plagiarism occurs among those who have the public trust, it gets lots of press. However, by the time the perpetrator is found innocent, the case has lost its news value, and we never hear about the accused’s exoneration. Thus, authors feel bombarded with reports of plagiarism-that-never-happened. Plagiarism is most rampant in academia. If you need proof, google “plagiarism.” Yep, a few famous cases and lots more stories about kids trying to make the grade at school. We cannot condone such theft, but we authors should not allow the idea of plagiarism to doom the progress of our writing careers. Generally it is only the poor young schmuck who grabbed down someone else’s work who suffers—whether or not he is caught. Another consideration. If someone should swipe a few of your words or an idea, his chances of becoming rich, famous, and envied because of them are no better than yours. If he should, that sets him up for legal action worth pursuing. If he doesn’t get rich on your work, you have the satisfaction of knowing he didn’t and won’t need to bother your talented head about chasing after a pauper. You might even benefit. The publicity surrounding such a case could be the lucky stroke that makes you the rich, famous, and envied author. Simply put, you take precautions. You copyright your work at the Library of Congress site (loc.gov). When you are researching the reviewer you hope will review your book, you check a couple journals or Web sites where she publishes the reviews she writes. Don’t worry too much. This process is more about getting a handle on whether your book will actually be reviewed and will be published somewhere—a prestigious journal or online at Amazon, Goodreads, or the reviewer’s own blog. If you’ve done even rudimentary research your chances of being plagiarized or wasting a good book on someone who was only fishing for a freebie will be reduced even more. I know. Brrr. The idea of giving away a book you toiled over and loved may not appeal to you. The idea might tempt you into trying to con reviewers into accepting an e-copy rather than a paperback or ARC. In fact, try not to think of it this way. You are getting at least as much for the cost of your book from the reviewer including reading, writing, and posting time. For one thing e-books are more dangerous in terms of copy-and-paste plagiarizing than a print book. It seems that someone who plagiarizes is inherently lazy and it is lots easier to copy-and-paste from an e-copy than it is to type a chosen sentence, paragraph, or book from scratch. But the real reason you want to give a reviewer a copy of your book in the format they prefer is that you want her to be happy reading it. Some reviewers go to pains to remind you not to “deface” your review copy in any way. Midwest Book Review is one of those. They ask you not to mark or label it as a review copy. Try to think of it this way: A reviewer is giving you a gift. They put hours into reading your book and more time and consideration into writing the review. Often (not always) their pay is only the book you send them. If they should decide to pass along your book to charity or to a friend, they are doing you a favor. That sharing of your book is a recommendation for your book and the more people who see your book, read your book, like your book, and tell someone else about your book, the more successful your book will be. Authors are a profitable target for scam artists because the publishing industry is burgeoning. There are just so many naïve authors to rope in. Because so many of them are new at publishing, they often can’t discern real help from . . . er, disingenuous offers. Some who offer that help—help like pay-for reviews—are well-intentioned folks. They may even be hard-working writers trying to make additional income. Some are out-and-out cons. Regardless of their motives, they lure authors who believe their books are doomed to failure without reviews into these little-or-no value schemes. There may be a few pay-for review services that are worth the money—in particular those that package the review you pay for with other services—but think about it. It is difficult for a reviewer employed by the author or publisher of that book not to be influenced by that relationship. When readers or industry influencers aren’t sure they are getting honest reviews, they don’t consider them credible. That is why paid-for reviews fly in the face of accepted journalism ethics. Most of these paid-for-review plans are out-and-out scams even when they are offered by reputable journals. Booksellers, librarians, and some readers know paid-for reviews when they see them (even when they see them in Kirkus and Publishers Weekly). Reviews in these trusted journals can easily cost $400 or more. They are often relegated to inferior status in the very same journals that are happy to take your hard-earned money for the privilege of giving you such shabby service. By that, I mean they put them into a section apart from the legitimate “honest and fair” reviews. Some offer special stars or praise to a select few of their authors who have paid for reviews. So few of those books are so honored that the system smacks of the snake-oil promises of old. Buy first and learn how useless the product is later. In the meantime, the unfortunate author’s book is devalued in the eyes of the very gatekeepers the author is trying to impress by spending their advance or out-of-pocket money on a review. Paid-for reviews are especially lamentable because there is no need to put yourself in a regrettable position like this. Authors can tweet a request for a book review. You offer a copy of your beautiful book in exchange for a review and will probably get more acceptances than you bargained for. These reader reviews may not appear in the big journals, but they can be used in all the ways an in-the-know author uses reviews for and they are likely to be more honest. Authors often get tricked into buying (and participating in) all kinds of promotional services that are unethical, don’t sell many books, and aren’t useful as lasting marketing practices. One such scam from a well-known publisher offers to send your book to Oprah—including guaranteed delivery, but—of course—they don’t mentions guaranteed consideration! I picture your book arriving on her threshold in a box with books of fifty other hopeful (and gullible authors—a box that will immediately get sent to Goodwill or returned. I could mention other such “opportunities,” but I don’t want to give them any traction. As they say, “Buyer beware.” Now you know they are rampant you’ll be more likely to know ‘em when you see ‘em—even if they have nothing to do with reviews. Review-and-opinion sites, online bookstores, and online popularity contests like the annual one run by Preditors and Editors that seems to encourage ballot box stuffing do a disservice to the publishing industry as a whole. You waste your time corralling votes for an “honor” that has no credibility. I’ve also seen real benefits offered by Web sites like Amazon.com disappear after authors abused them. Be alert to anything that feels manipulative. If your book is going nowhere, do something positive for it instead. Take a writing class. 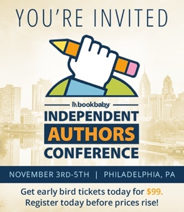 Go to a conference on publishing like the one IBPA (Independent Book Publishers of America) offers every year to learn more about the industry you have chosen to be part of. Learn the time-honored publicity techniques in The Frugal Book Promoter (bit.ly/FrugalBookPromo). Learn more about how to maximize the effect of the reviews you want—the ones you can get without paying someone to rave about your work. I show you how to do that in the next few chapters of this book. Your career will soar—ethically. I must confess: I'm a big fan of all of Howard-Johnson's Frugal books. As a relatively obscure author with a limited marketing budget and niche titles that only a miracle could elevate to bestseller status, I've gleaned so much valuable information from the the Frugal series (The Frugal Book Promoter, The Frugal Editor, and How to Get Great Book Reviews Frugally and Ethically) that I'm able to supplement my meager Social Security income to the tune of seven or eight thousand additional dollars every year--which is a very big deal. And the more I actually put her tried-and-true systems and processes into practice, the higher my income from book sales climbs. So I'm sticking with her lessons because I have every intention of heeding Captain Picard's command, "Make it so!" You Have Your Review, Now What? Use excerpts from reviews as blurbs (endorsements) everywhere. In your media kit, in the header of your stationery, printed on your checks. How to Get Great Book Reviews will tell you how to manage those excerpts and give you even more ideas about where to put them. 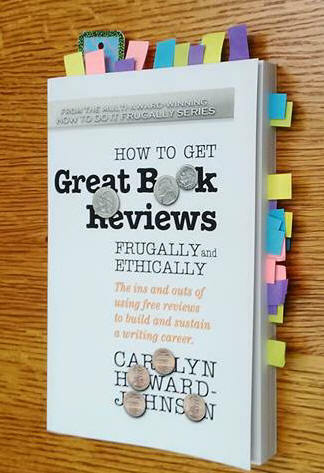 Learn to do this professionally in How to Get Great Book Reviews Frugally and Ethically. Other publishing including shorter works. The Frugal Editor, second in the HowToDoItFrugally series, sharing my system for keep editing gremlins at bay. The Great First Impression Book Proposal: How to Sell Your Book in 30 Minutes or Less (Originally published by Amazon, now an updated version proudly self published). Great Little Last Minute Editing Tips, an easy dose of word trippers you may have forgotten since the fourth grade. 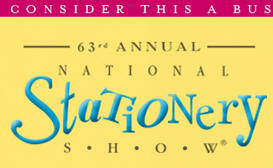 Workshop leader at bookstores, expos, tradeshows, etc. Journalist. Staff writer for several newspapers including Salt Lake Tribune. Columnist Pasadena Star News. Reviewer for papers like Glendale News-Press. 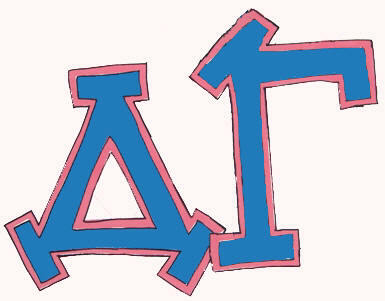 Please see "Published Works Almanac" on this site for others. 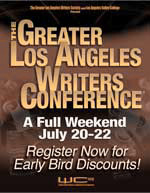 Carolyn Howard-Johnson brings her experience as a publicist, journalist, marketer, and retailer to the advice she gives in her HowToDoItFrugally series of books for writers and the many classes she taught for nearly a decade as instructor for UCLA Extension’s world-renown Writers’ Program and writers' conferences across the US. 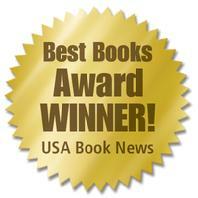 The books in her HowToDoItFrugally Series of books for writers have won multiple awards. 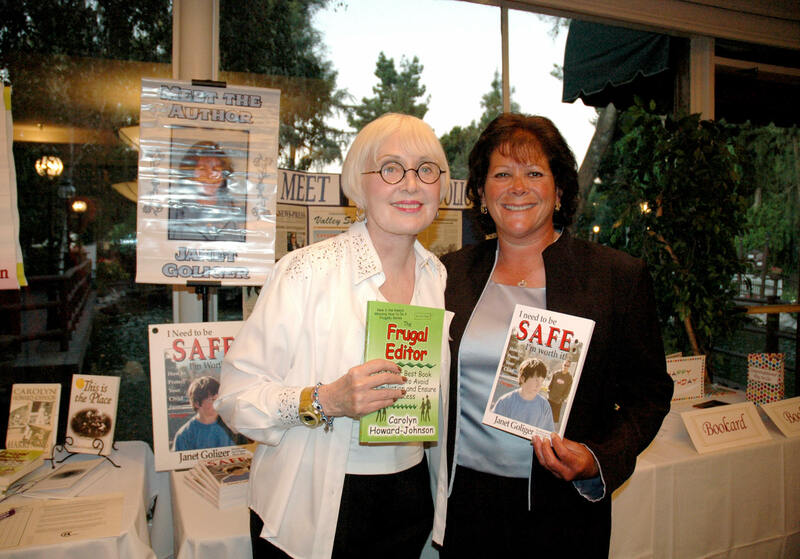 That series includes both the first and second editions of The Frugal Book Promoter and The Frugal Editor. 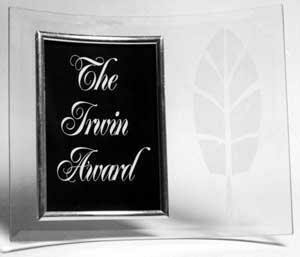 They won awards from USA Book News, Readers’ Views Literary Award, the marketing award from Next Generation Indie Books and others including the coveted Irwin award. 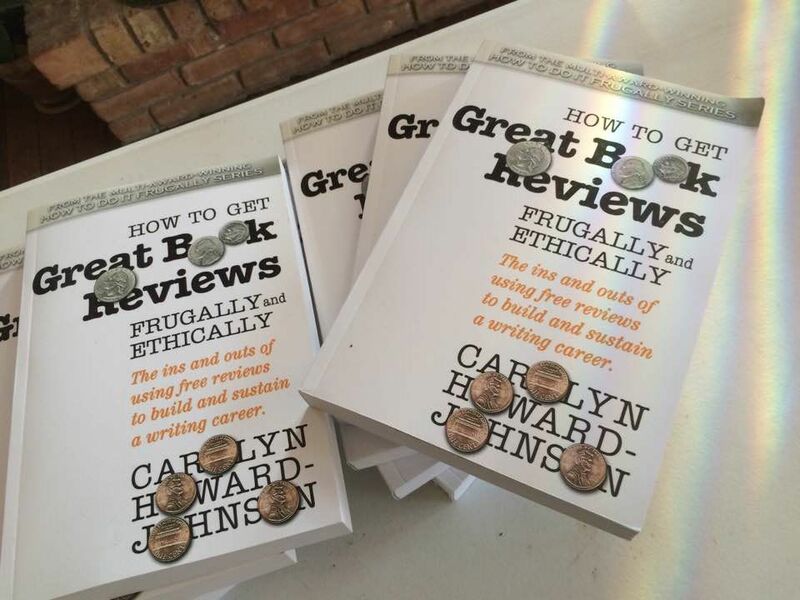 How To Get Great Book Reviews Frugally and Ethically the third in her HowToDoItFrugally series for writers was introduced in a prepublish campaign by Bookbaby.com for the benefit of their authors. 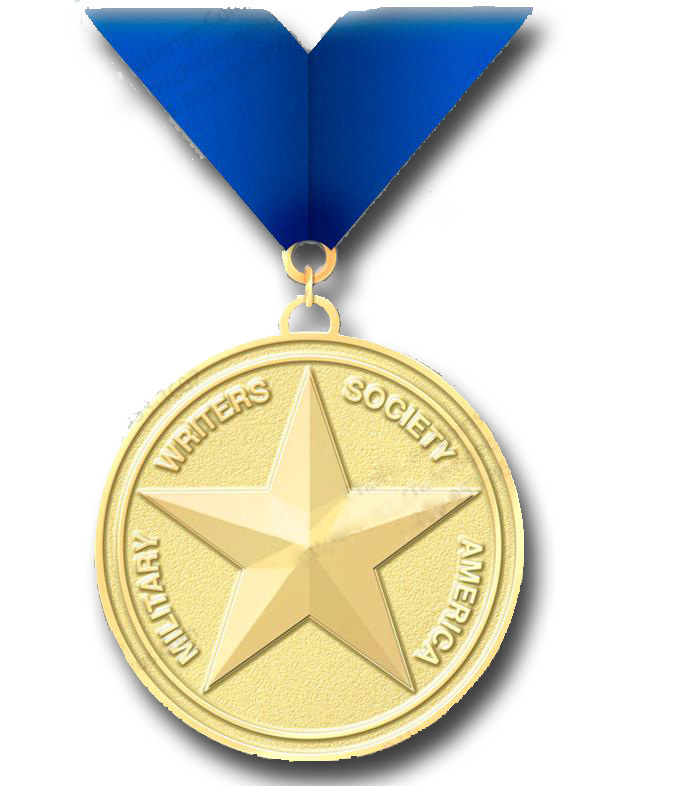 Howard-Johnson is the recipient of the California Legislature’s Woman of the Year in Arts and Entertainment Award, and her community’s Character and Ethics award for her work promoting tolerance with her writing. She was also named to Pasadena Weekly’s list of “Fourteen San Gabriel Valley women who make life happen” and was given her community’s Diamond Award for Achievement in the Arts. She has also been a speaker on Princess Cruise lines. Don't wait until your book is published (or even until you have a contract in hand) to start building your brand. Now is the time for all good authors to promote. It's never too early or too late (unless you waited until your traditionally published book has gone to the shredder!). One way to start early is to write book reviews for Amazon and other places -- online or or in print. Find at least one tip on promotion, writing, or tech on every page of this Web site. You will find at least one promotion, writing or tech tip on every page on this site. Happy browsing and collecting! If you love my 3D book images, you can have one done for your book, too! For a variety of reasons, I've been using CreateSpace.com to publish many of my how-to books and poetry chapbooks. I can help you find the right way to publishing your book, too, even guide you through the publishing process. Learn more on my consulting page. Learn how to direct your promotion efforts to your audience. Amazon is a great place to start. The perks offered to authors there are free and Amazon is where readers hang out. The chapter in The Frugal Book Promoter on Amazon benefits will help you do it right. 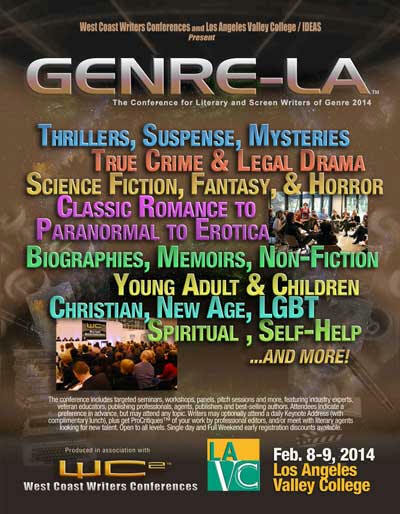 Most writers' conferences are expensive. Carolyn's The Frugal Book Promoter may be the only book that presents a step-by-step system for getting the most out of one. There are alternatives to books for frugal learning, though. 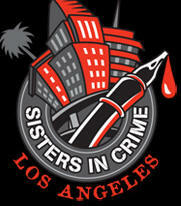 Check the Muse Online Writers' Conference cosponsored by Carolyn and Lea Schizas. Trade shows are different from book fairs; for authors with restricted budgets can find a publisher or organization that have booths. An appearance at one will helps you start a buzz for your book. They are most effective when you plan to attend (and sign!) just before or just after your book is published. 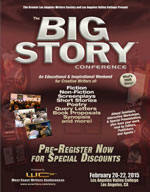 Check out Book Expo America for USA's biggest. Carolyn loves David for inexpensive viral book marketing! Carolyn Loves Author Learning Center. She recorded a tip for their free Learning Center tutorials on finding something in your past that will add credibility to your query letter and bio--even if you haven't yet published!